Last weekend we had a very early start, but we had a very important task to do. 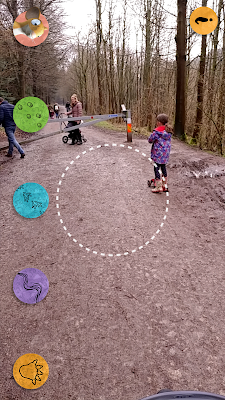 Our mission was to take place at Dalby trust, which is part of the Forestry commission, and our goal was to spot the Gruffalo. The girls were armed with their scooters, ready to follow clues and see if they could spot the Gruffalo. 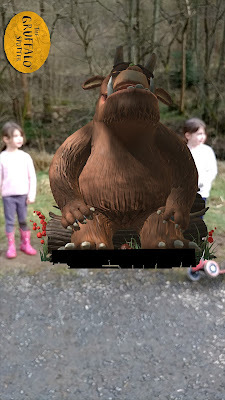 Prior to leaving I had downloaded a free app to help us with our Gruffalo spotting. As we walked around the trail we had to look for footprints in the wood, as we held the app over the footprints magic would happen. Out of nowhere the creature, whose footprints we had found, would start to appear. The girls would watch in amazement as the animals came to life on my phone via the app, but in reality there was only their footprints in the wood. 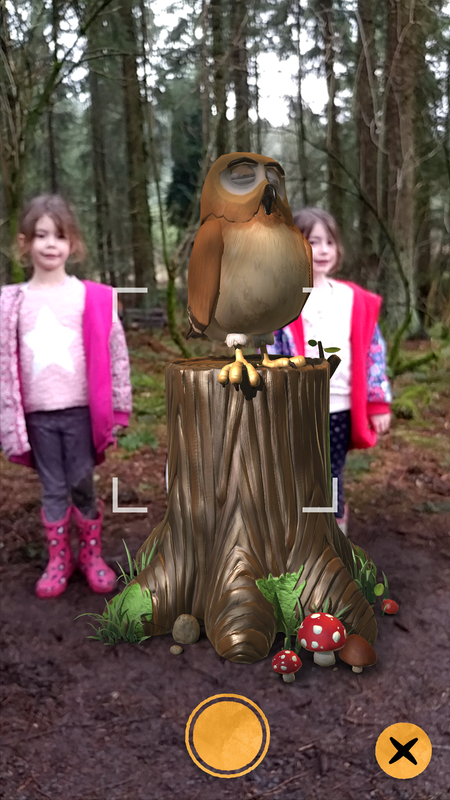 The app allows you to take photos directly from within, so you can get your children to pose either side of the characters. This did involve lots of instructions shouting across to my two to try and get a picture! We had 2 creatures which had gone shy and simply would not come out to play on my phone, and a Gruffalo who was very tired and refused to stand up but non of this seemed to detract from the fun both girls were having. As we found each of the creatures in the deep, dark wood we were given a little fact card about them and even an activity to do to be just like our found creature. This was a nice little touch as the activity was a great way to encourage more imaginative play when out in the woods. It also got the girls to think about each animal and how they would behave. 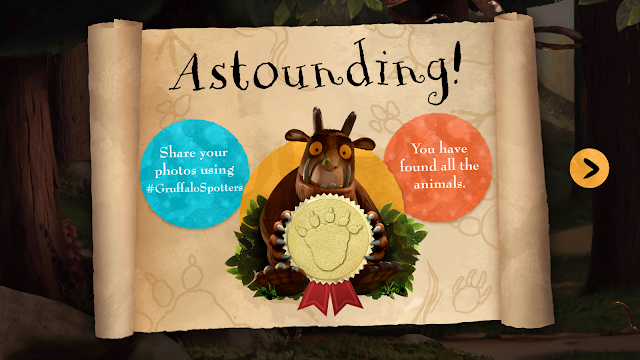 Once we had completed our walk around the deep dark wood, and found the Gruffalo we were awarded with an Astounding certificate! 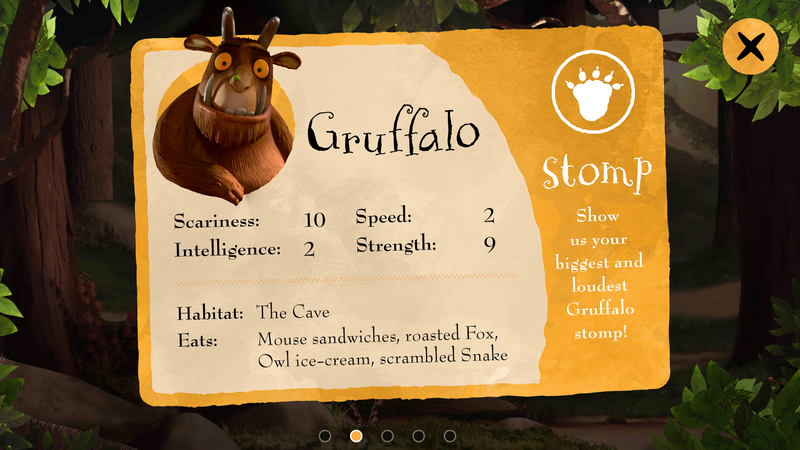 This sounds like a great day out, my two love The Gruffalo! This is on my list of things to do in the next few weeks, it looks so much fun!